A flying visit to Sotheby’s had me photographing some vintage watches for Port. Read article/see more images on Port’s website here. 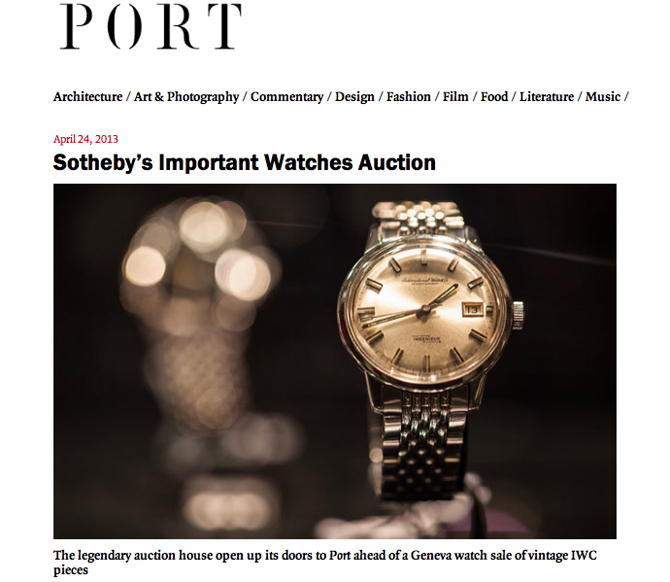 This entry was posted in Photography and tagged FASHION, LIFESTYLE, SOTHEBY'S, VINTAGE, WATCH, WATCHES. Bookmark the permalink.